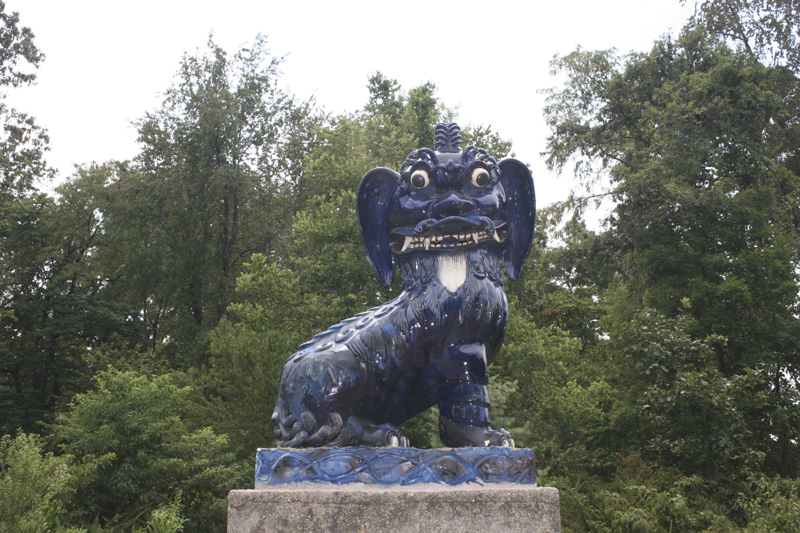 This artwork is composed of twenty-two blue ceramic, one green ceramic, and two granite sculptures. They range in height from 29" to 36" high. Robert Allerton gifted the pieces of art to the University in 1946. 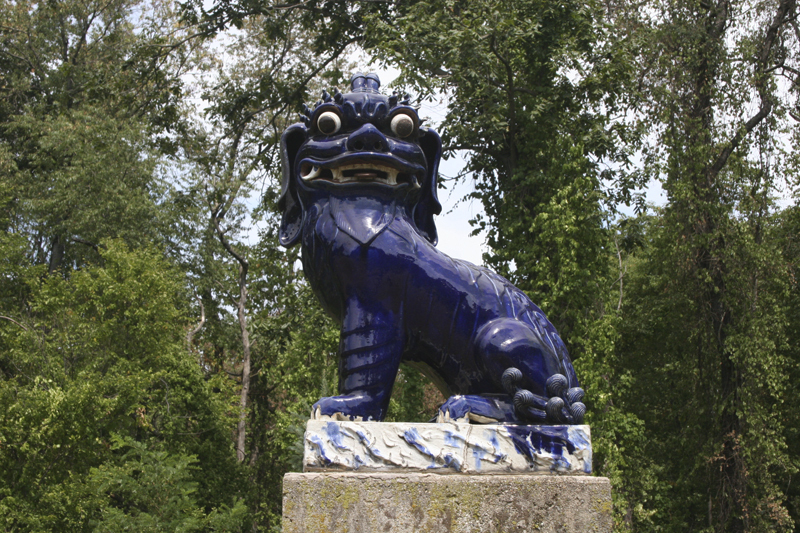 They are displayed in the Fu Dog Garden, the Cutting Garden, and at the end of the Vine Walk at Allerton park. The artists are unknown. 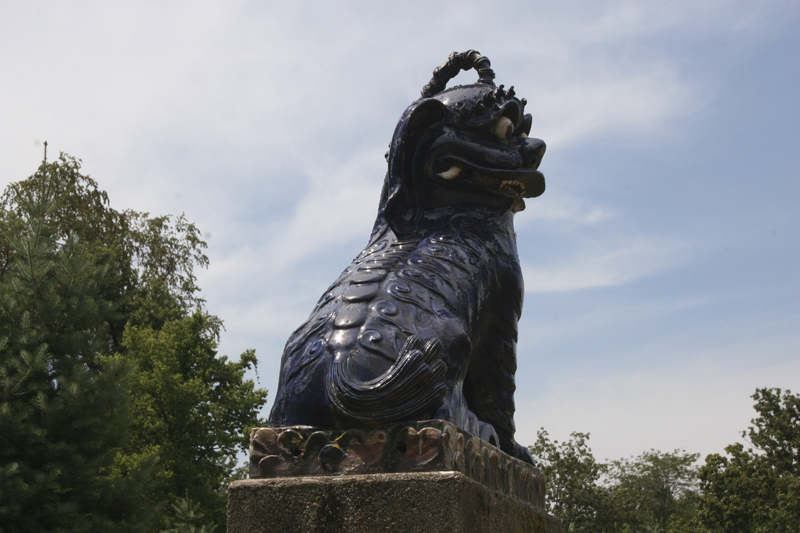 Mythological lion-dogs such as these are ubiquitous in Asian art, found in cemeteries, temples, shops, and domiciles and utilized traditionally as Buddhist guardian effigies to ward off demon spirits. Fabricated of materials such as stone, wood, ivory, and terra-cotta, they appear with variations of fringed manes, long hairy ears, spiraling tails, ornamental eyebrows, curved hams, broad square muzzles, enormous globular eyes, and upcurled wide mouths that suggest laughter rather than ferocious snarls. Often they are shown with playful cubs and brocaded balls representing sun spheres. Their image combines features of Pekingese pug dogs (known commonly as hsiao kou, small dogs) and long-haired lion dogs (shih-tzu kou). 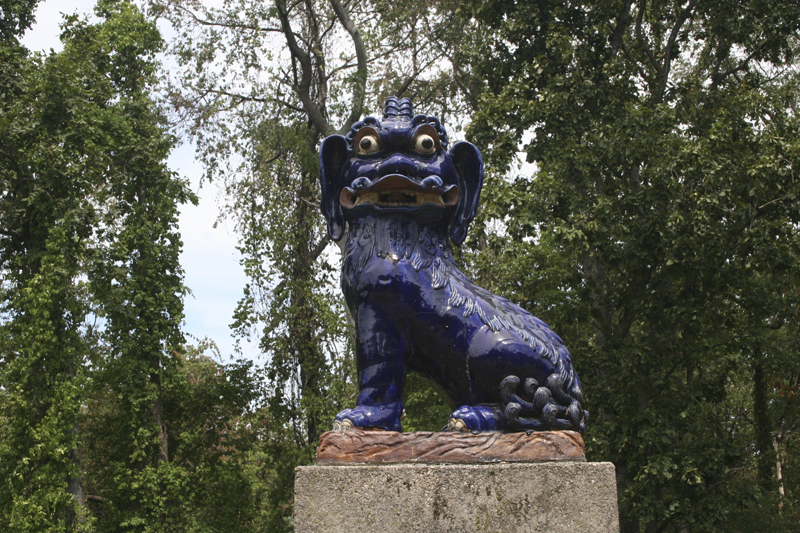 Possibly most appealing of all park art objects are the twenty-two lustrous, gorgeously colored lapis-lazuli-blue ceramic Fu Dogs that Allerton purchased in pairs from European and American art dealers and in 1932 had placed in a specially designed garden. Considering their similarity in size, overall look, and hollow construction, they may well have been created for the export trade in the same factory. They are very like each other, differentiated only slightly by spots or blazes on their foreheads, by their white or blue beards, by nuances in modeling, and in the treatment of tails and ears. 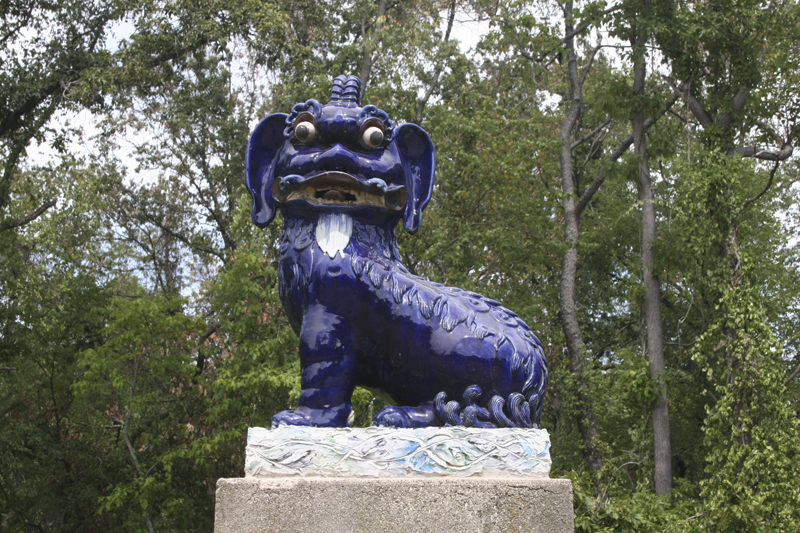 "The Chinese craftsmen who made the dogs did not try to make exact duplicates," professor of art Donald Frith explained. "Each was unique and had several imperfections, giving the impression they had been made somewhat hastily." Not all in the garden now are originals. Because of theft and winter freezes that cause great damage, Frith was called upon to reproduce four. It is impossible to tell which four. 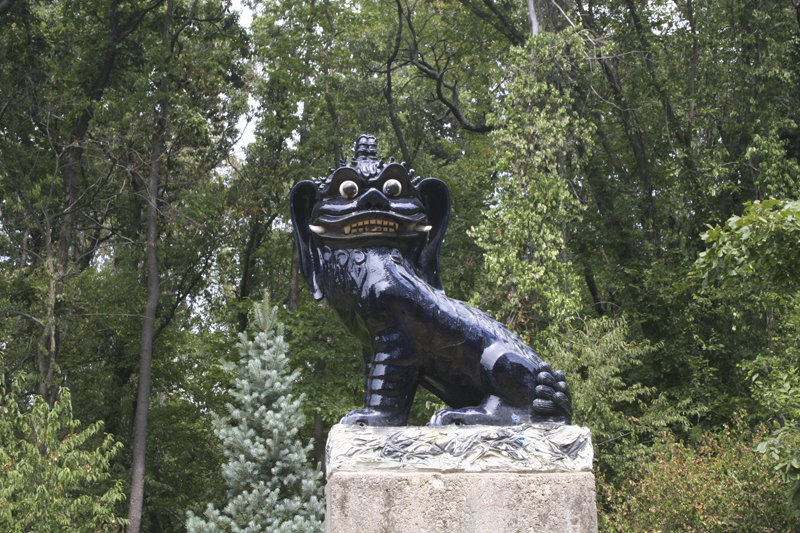 As for the other Fu Dogs in the park, the two of granite on high pedestals at the end of the Vine Walk near the House of the Gold Buddhas are of Korean origin. The green ceramic dog in the Cutting Garden behind Allerton House is notable for its unusual crouching position; but it is notorious too, for the repair given it by untrained park personnel after thieves dropped and extensively broke it-a "restoration" one art faculty member described as "a three-dimensional nightmare." 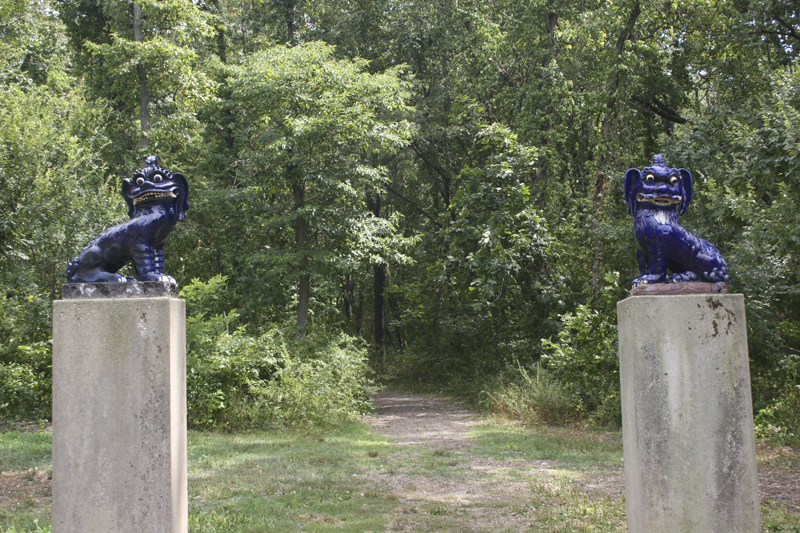 These pieces are displayed in the Fu Dog Garden, the Cutting Garden, and at the end of the Vine Walk at Allerton park. 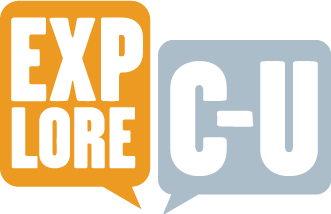 Muriel Scheinman, “Fu Dogs, 19th and 20th Centuries,” ExploreCU, accessed April 19, 2019, https://explorecu.org/items/show/58.